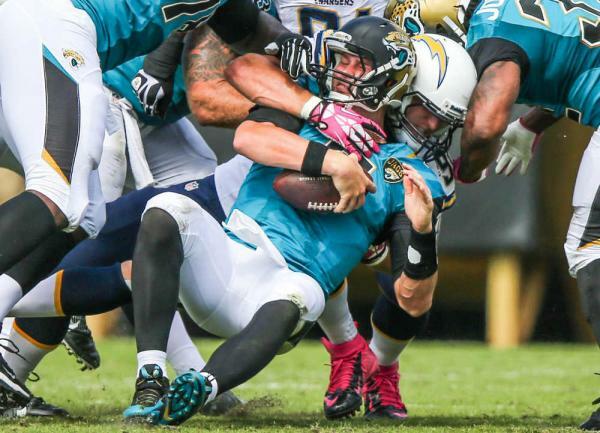 Week 7 is officially done, and so are the playoff hopes for certain teams. Upon the conclusion of week 7, only one team stands as undefeated and two teams are still winless. The Peyton Manning homecoming lived up to its hype; however, the Viking/Giants Monday Night Football game may have put some to sleep. As millions of Americans prepare for Halloween next week, I’m sure the least desirable costume this year will be a Jaguars jersey. Here is my list of What’s Hot, What’s Not, and what remained Hot or Not. Enjoy! In what might possibly be the QUIESTEST team to ever start 7-0, there is nothing mute about the way the Chiefs have been taking care of business on the field. 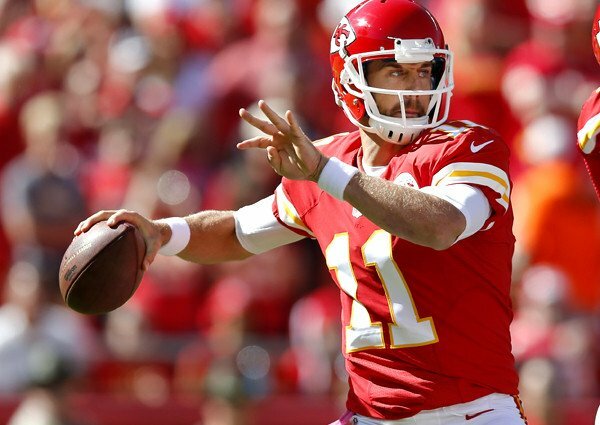 With a stingy defense and the impeccable game management of Alex Smith, the Chiefs have built a formula that is effective. Their true test will come when they face Denver in week 11. Respect them or not, they are the last remaining undefeated team in the league. How do you go from bad to worse? Well maybe our friend, Mr. Freeman, can answer that for you. After recently getting released from Tampa Bay due to poor play, Freeman was lucky to land a job as quick as he did. 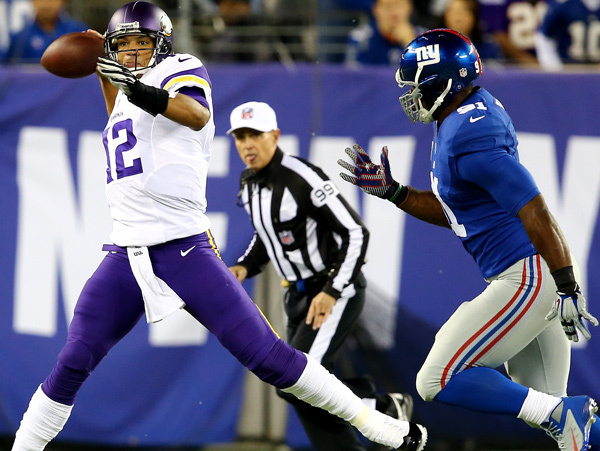 The unfortunate thing for the Vikings; Freeman is not the answer. After a pathetic debut last night, 20 of 53 (37% completion), 1 interception, 190 yards, it is safe to say that Josh may be heading to the unemployment office at the conclusion of this season. I hear the chants…TEBOW! TEBOW! TEBOW! After an improbable victory last week against the Saints, with no name receivers, Brady proves time and time again how elite he is. 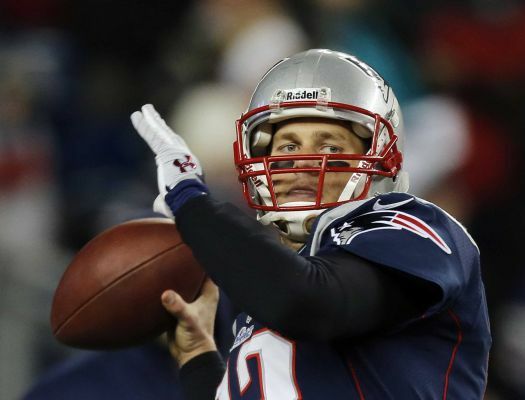 With a devastating loss to the Jets on Sunday, expect this to motivate Brady even more. Now that he has Gronk back, and a fairly easy schedule the next 3 weeks, the AFC East is likely a lock for him. Yes, they FINALLY got a win last night. But let’s face it…1-6 is not hot. 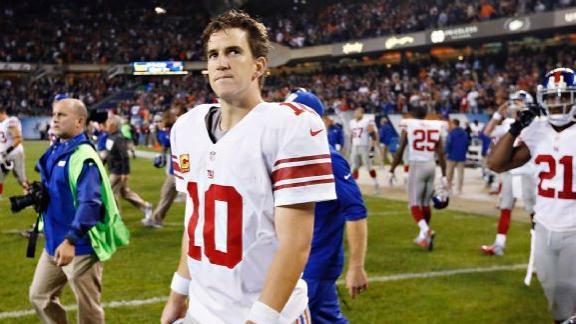 With an extremely high uphill battle, the Giants will need a Meadowlands Miracle to taste the playoffs. The quickest way to get respect in the NFL is to beat the greatest team in the NFL. 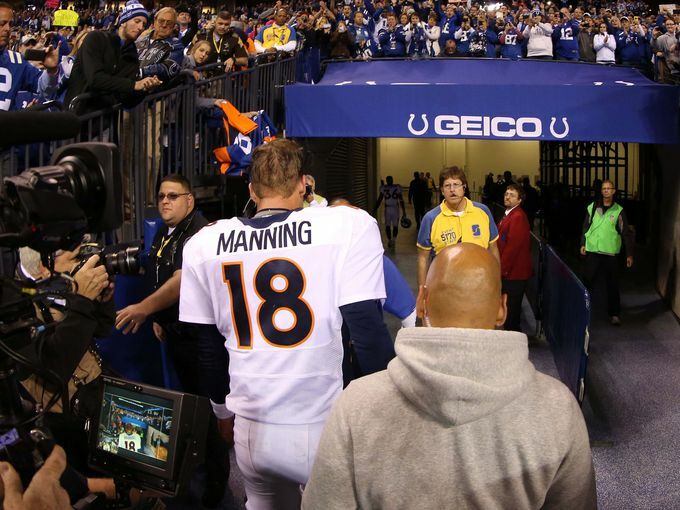 That what Mr. Luck and the Colts did on Sunday as they ruined Peyton’s homecoming. 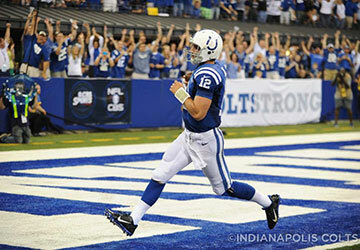 Andrew Luck and company made Jim Irsay look like a genius. In addition to the impressive win against Denver, they have also beat the Seahawks and the Niners. With a pretty easy schedule the rest of the season (with the exception of the Chiefs), the Colts will inevitably face Denver again in the playoffs. Whenever your defensive coordinator asks fans for help to construct a solid defensive game plan, you know your franchise in ruins. Whether Greg Schiano was being sarcastic or not, this is never a good sign for your organization. And with your star RB, Doug Martin, potentially out for the season, it’s not looking too bright for this club. With all 3 Florida NFL teams having a combined 3-16 record (2 teams winless), it begs to ask the question: is there something in the air?? I would have never guessed that the Bengals would be sitting atop the AFC north this far into the season, but then again I would have never guessed the Giants would be sitting at the bottom of the NFL east. 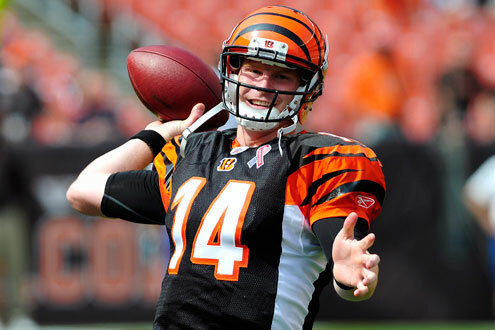 Andy Dalton has really taken control of this team. After leading them to impressive victories against the Packers and Patriots, Dalton did it once again on Sunday against the Lions. 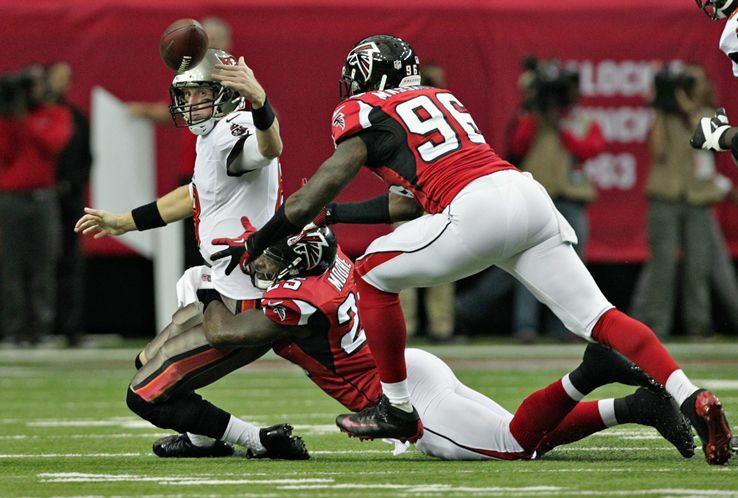 In that game, Dalton was 24 of 34 for 372 yards, 3 touchdowns, and a whopping 135.9 QB rating. Sizzling! I believe star RB Adrian Peterson summed it up best for the Vikings by saying “we’re just kind of out of whack”. “Out of whack” quite possibly could be an understatement because the Vikings have been horrible. They are ranked 29th in passing offense, 30th in total offense, and 20th in rushing. With the acquisition of Freeman, it seems unlikely that those offensive numbers will improve. 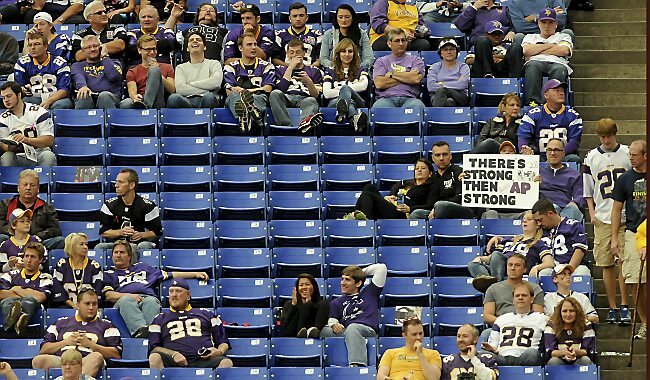 The only thing that’s Hot for the Vikings is the seat that Leslie Frazier is in!